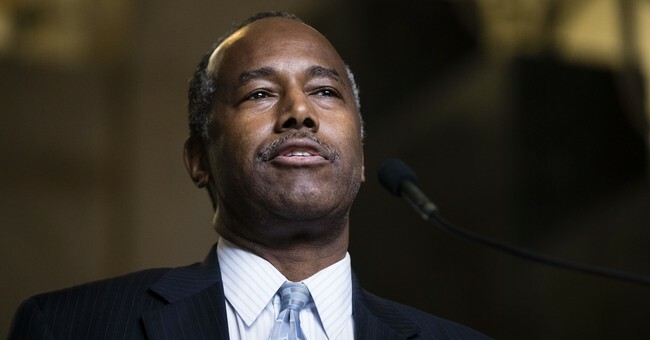 Department of Housing and Urban Development Secretary Ben Carson delayed a fair housing provision in January. The Affirmatively Furthering Fair Housing Rule, enacted in 2015, required communities receiving federal funds to submit plans to foster desegregation and inclusiveness and prevent discrimination. It was intended to finally enforce the 1968 Fair Housing Act. In 2015, Carson penned a Washington Times op-ed that summed up his critique of the government program. Just like the desegregated school busing effort in the 1980s, the fair housing act would be a "failed experiment," he added. So, it's now no surprise Carson wants to suspend the fair housing rule. A coalition of national and Texas-based housing groups is planning to sue the HUD secretary. The draft of the lawsuit, obtained by The Washington Post, alleges that Carson "unlawfully suspended the 2015 rule by not providing advance public notice or opportunity for comment." The groups also claim that Carson is leaving HUD without a program to ensure that $28 billion in disaster relief funding, needed after storms such as Hurricane Harvey, goes to those most in need. The groups will file their lawsuit in federal district court in Washington.